Very rarely do pieces of sculpture appear in colonial inventories. Intendant Claude-Thomas Dupuy, whose furnishings at the intendant's palace were confiscated to pay his debts in 1728, owned the most important collection of sculpture in New France after the Church. Although he was permitted to keep marble busts of the king and his mother, the rest of Dupuy's property was sold in Québec in 1730 and 1731. 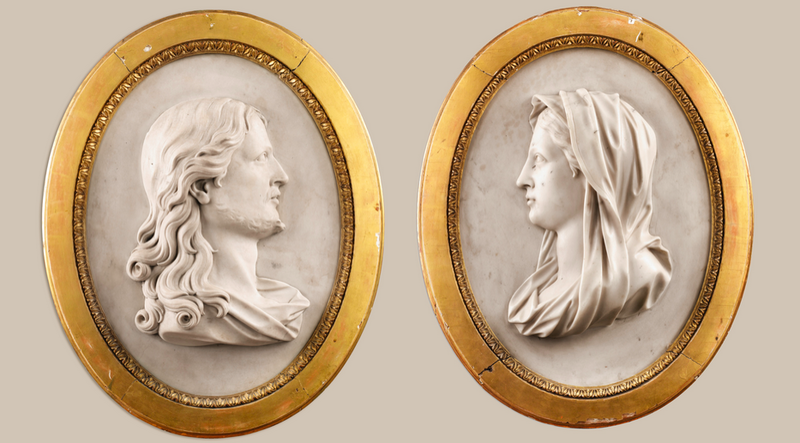 This sale included other sculpture brought to Canada from Paris by Dupuy, such as a pair of marble profile reliefs depicting Christ and the Virgin. These might have been displayed in the palace chapel. More information on devotional sculpture can be found in the "Devotion" section.